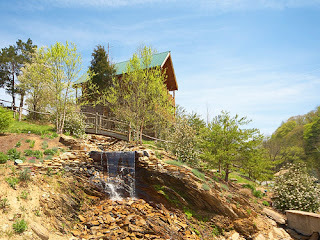 Gatlinburg Cabin Rentals: A VACATION CAN DO A LOT FOR YOU! A VACATION CAN DO A LOT FOR YOU! In the mountains or the beach, many people now are starting to make it a tradition to get a rental vacation home. In the mountains, a mountain cabin, a mountain chalet, or mountain villa might be a good choice for your vacation lodging. At the beach, you can usually find a nice condo rental or beach home that would work for your family. 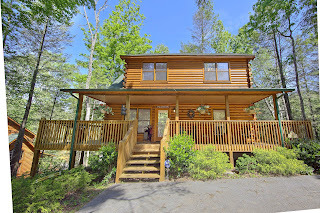 Vacation homes are a growing part of the tourism and lodging community. Millions of people each year find vacation rentals to offer the most amenities, privacy, and comfort for a terrific value. Once they try it, they find vacation rentals often at the same destination tend to be a yearly tradition. In Gatlinburg, Tennessee, log cabins are scattered throughout the Smokies. In Pigeon Forge, there are creekside and mountain view cabin rentals available. Has your relationship with a loved one or a family member been strained lately due to stress, job dissatisfaction, health or financial issues, or for lack of quality time together? Sometimes, all you may need is a getaway or escape from the every day routine to get refreshed & rejuvenated. Your spouse, family, or friends will collectively appreciate it, feel better about returning to their "regular" lives, and hold their vacation memories dear in their heart. Some vacations can be very budget friendly and made-to-order. Keep this in mind when trying to decide what type of lodging you are looking for and what type of destination you would enjoy staying at with your travel group. 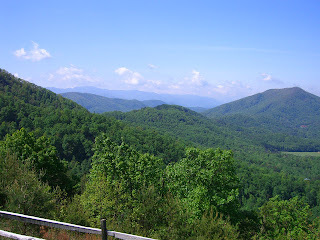 Most people like the natural landscape of mountains, a beach, or even a City. Do some financial analysis to see how much you could spend on a trip with the family. Then see when you, your family, or friends could schedule a break from your everyday lives. Then you can start shopping online or call some destinations for lodging information. After making your reservation, you can probably already feel some peace of mind and anticipation for your future vacation. Give yourself a break and start planning your Summer or Fall vacation. You deserve a getaway or vacation just like anyone else. Sometimes with careful planning and budgeting, you can reserve an ideal place at a great price. Also, vacation homes come in a variety of sizes so figure out who will be joining you. Remember to bring your camera and suitable clothing for your vacation destination. You can boast about your vacation at work, while immediately feeling more relieved that had experienced a fantastic trip!